“While participating in The Oceania Project's 2006 Whale Research Expedition and having witnessed the demise of a Humpback mother with calf who had been caught in crab pot lines, I reviewed the footage of the mother's cadaver being devoured by over thirty large sharks. I then had a series of very vivid dreams. I wrote down their essence in a series of short tales which I offered to my youngest son Noé on his twelfth birthday. The tales evolved into short films featuring the Humpback Whales and Dolphins of Hervey Bay to which I added, with the kind permission of Canyon Records, North American cedar flute performed by Mr. R. Carlos Nakai. These tales stir in me a remembrance of the near extermination of the once great nation of Cetacea during the latter half of the last millennium; a fate which many human nations suffered during the same period of time. 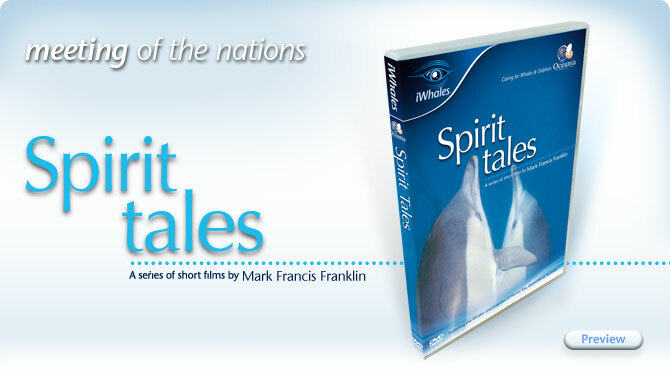 Support The Oceania Project's Whale research programs by purchasing this DVD.